Why to go for Marble? 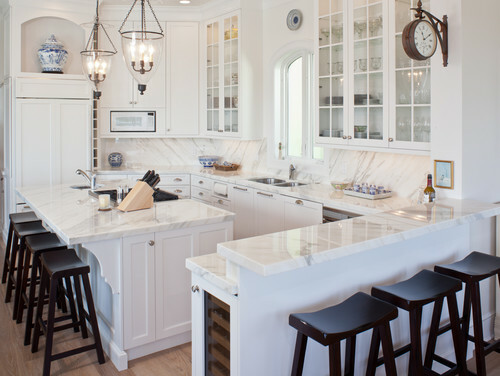 What are the Benefits of Marble? What are the Disadvantages of Marble? How many people go for Marble? The white luxurious look of marble can be appealing to almost everyone, but besides this it is cool and quite durable just like the granite. It’s smooth and cool surface is loved to be seen in many baking centers. 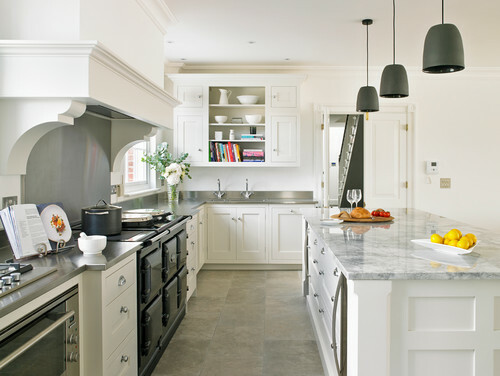 Marble is an excellent heat resistant material therefore if you want to keep your kitchen countertop cool then go for it. Marbles cool surface is used in baking centers as it does not conduct heat and is therefore used to make pastries. 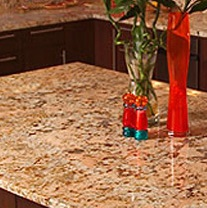 They are available almost everywhere and thus it is easy to find unlike quartz. Marble is available in a wide range of colors that contains different hues of white, grey, black, yellow, pink, green and blue. You may face difficulty in finding colors like yellow, pink and blue but you will definitely find them somewhere near your place. Every marble slab differs from the other making every marble slab unique. Marble slabs also comes in smaller sizes so rather then going for a uniform pattern you can go for different pattern slabs making up your countertop. 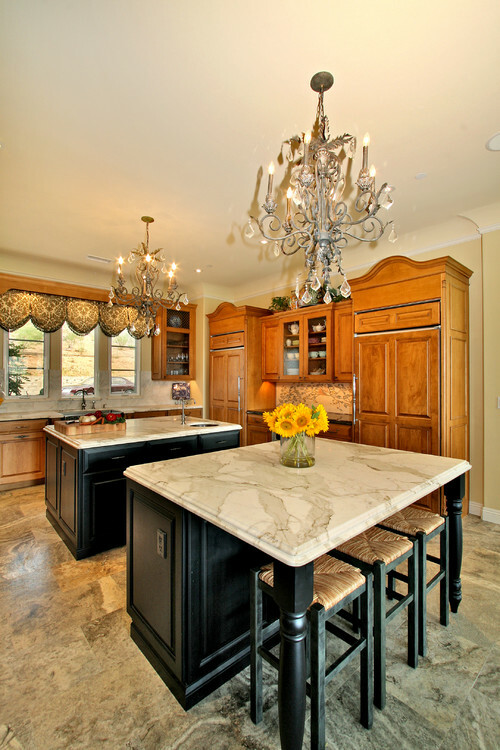 Marble has different finishings like polished, honed and leather. If you want some plain colors and don't want scratches to show up easily then go for matte or honed finish. A leather finish is given to dark colored granites, it has a little less shine then polished marble. Marbles are costlier just like granite, but don't hesitate to choose them as they are quite durable and will give your kitchen a luxurious look. 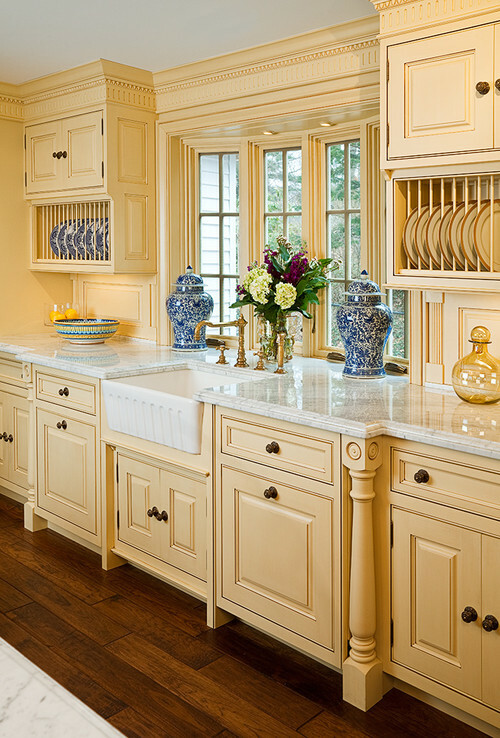 The average price is $125 - $250 per square foot, which is little costly than granite. Well, if you have kids in your house who spill drinks like lemon juices or red wine, then it is advised not to go for marbles as marble can be stained easily and they are permanent. Even sealing marble surface helps to some extent from preventing stains, but acidic things will for sure stain the surface. 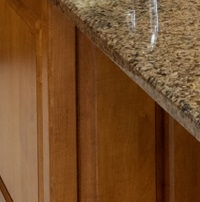 Giving your marble countertop a honed finish can make your countertop more porous and prone to staining. Marble needs moderate maintenance apart from the extra precautions that needs to be taken while working on them like preventing citrus drinks from spilling and not to use sharp objects like knives. 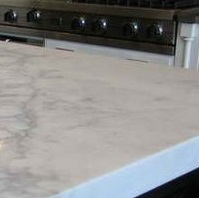 Marble is not that resistant to scratches so it is advised to use a cutting board while chopping things. Marble is prone to cracking and chipping so putting heavy things on the surface can put cracks on the surface. 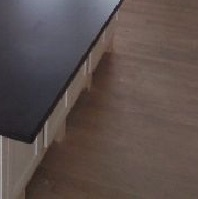 If you are wearing a belt and lean over the marble countertop then you can chip the edges of the countertop. Marble is a heavy material so if you are ordering them from somewhere far, then your delivery charges will also increase. Marble is difficult to install yourself as the slabs are heavy and are difficult to handle, so you will need help of professionals to install them. 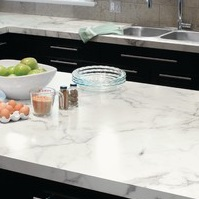 Marble is 5th most used countertop material according to the graph shown above. 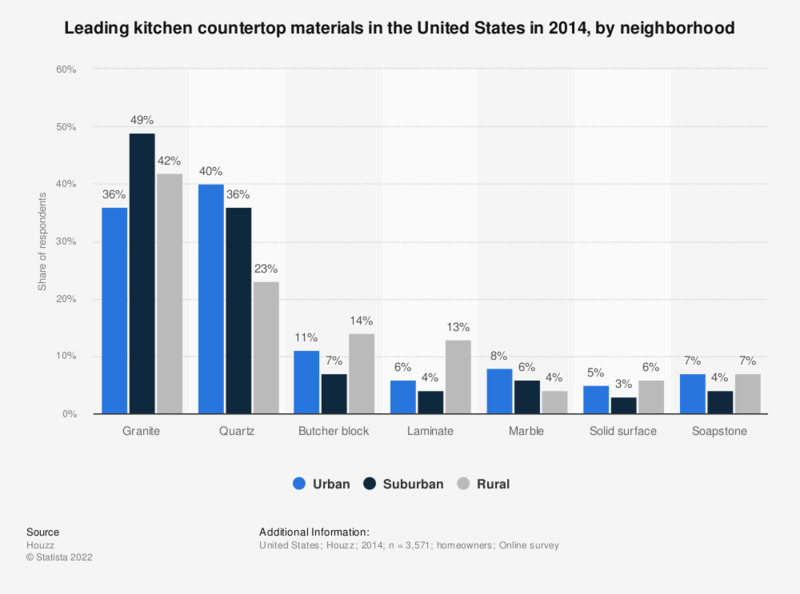 These stats are of the year 2014, which depicts kitchen countertop materials used in the United States, by neighborhood.